The Well House offers spacious self catering holiday accommodation for 12 to 14 people, making it the ideal venue for family celebrations and reunions. 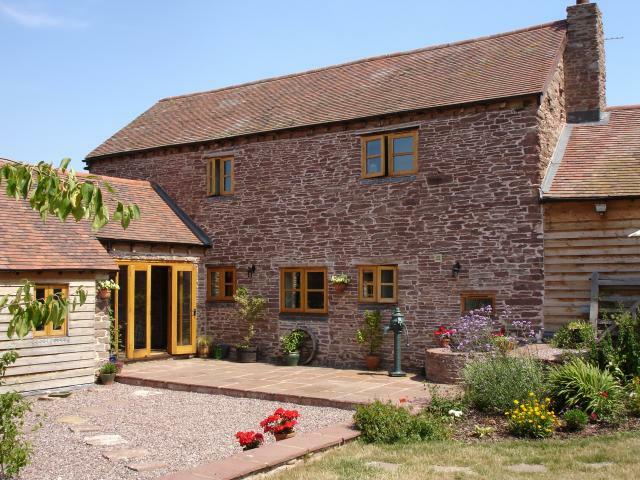 The self catering, half timbered barn is located in the village of Brierley which is 2 miles from Leominster in Herefordshire. This spacious self catering accommodation comprises a sitting room with wood burner, TV and exposed beams. There is an open plan kitchen/diner which is fully equipped and includes a large oak dining table. The self catering house also has the benefit of having a snug room which has a TV, games and books - perfect for children. There are 6 bedrooms which include a master en suite. Outside there is a lovely garden which is great for relaxing in the sun. The house is in a great location for exploring Herefordshire and there are many beautiful walks close to the property such as the Mortimer Trail and Offa's Dyke Path.